My hubby's niece came home with her new baby from North Carolina. They are going to spend Christmas with her parents over here in Wisconsin. So, I decided to make some goodies as a welcome gift for her and the baby. I made them Sugar Twist Donuts and Dark Chocolate Chip Cookies. 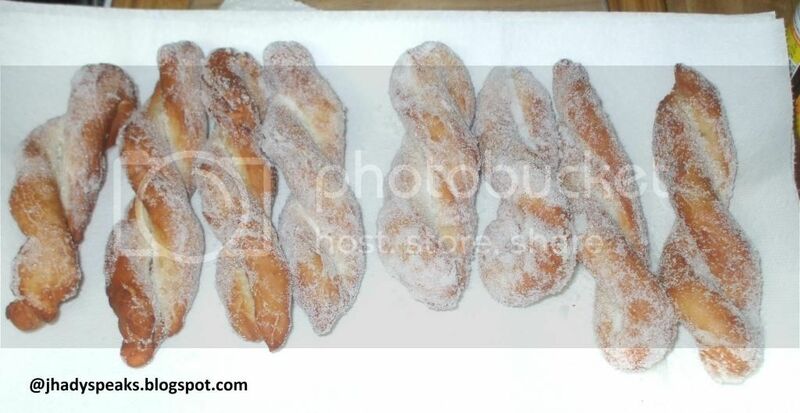 If you want the recipe for Sugar Twist just click the pictures. I was making sugar twist donuts while baking chocolate chip cookies at the same time. Now, I feel very sore!! ha ha But I felt good that I was able to make these yummy snack for them and saw the cute baby girl. This is the third time I baked cookies, it turned out good somehow. I think I am getting better at it and I plan on making more this week. Cookies can be a good gift for teachers and friends this Christmas. It is inexpensive but sweet. Update: I just found out today that my niece loves the sugar twist so much that she wanted me to make another one before she goes back to North Carolina, her younger sister and her mom asked me the same. lol! Apron ready! Food is also a nice gift especially if its packaged well. The sugar twist looks really delicious. Sis, gusto ko yung twist donuts mo. Gusto ko rin gumawa nyan later hehehe. 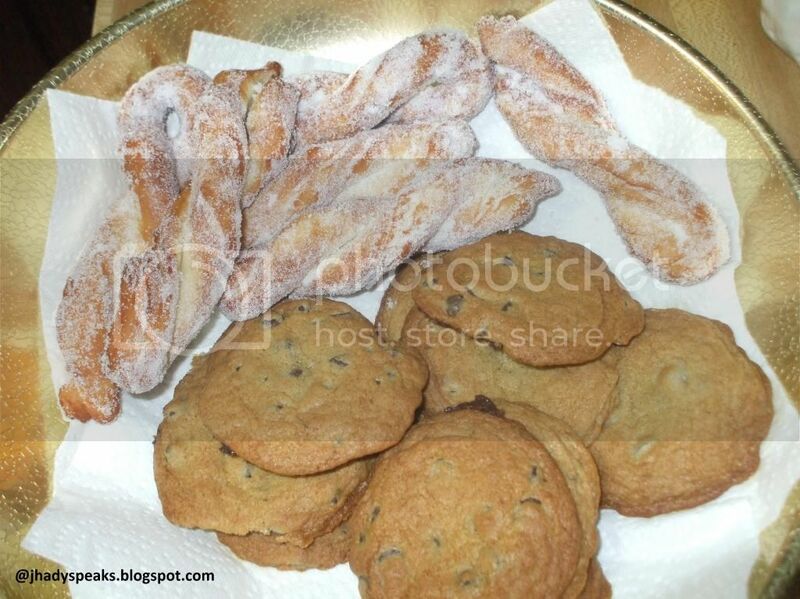 Both the twists and cookies look delicious!